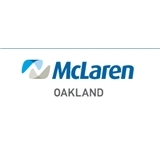 McLaren Oakland-Oxford Family Medicine (Oxford) - Book Appointment Online! Our friendly and caring staff provides experienced, family-centered care for patients of all ages – from newborns and children, through specialized care for older adults. This man knows what he's talking about. Always love my visits here. Even if that's weird to say. Dr. Basak is a professional, I like him and his staff.